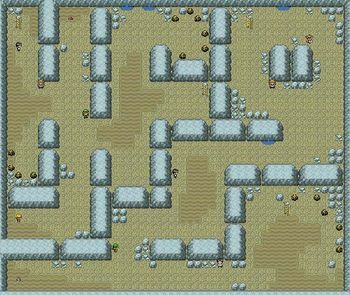 The Rock Tunnel Connects Route 10 to Lavender Town. To get through, it is very useful to have a Pokémon that knows HM05 - Flash. If you picked Squirtle or Bulbasaur as your starter and leveled it up decently, you'll have little problem getting through. Those who picked Charmander as their starter will struggle though, as the Rock types here are super effective against Fire types, though its move Metal Claw should make things easier. Pick up as many Super Potions as you can in Vermillion City, as you'll be using them. For now, worry about getting to the other side and come back for the items/Pokemon later once you have a stronger team. 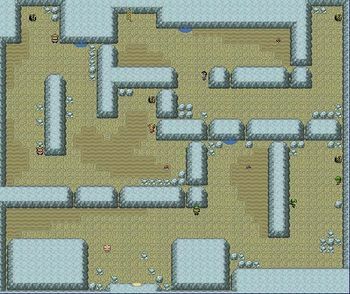 On the second level, in the southwest corner, there is a Move Tutor who will teach your Pokémon Rock Slide. As the second Fighting type Pokemon you can catch in the game, Machop is a great replacement for a Mankey if you caught one earlier. Machop will work wonders for a long part of the game, but you may choose to replace him afterwards with Hitmonlee or Hitmonchan. He gets tons of Fighting type moves and evolves twice, first into Machoke at level 28, and then to Machamp after being traded. Onix is the second Rock type Pokemon you encounter in the game following the Geodudes you ran into inside Mt. Moon. Although not as well rounded as a fully evolved Golem, Onix's Defense stat is unmatched. In addition, he receives Dragon Breath at level 30 and Iron Tail, at level 45, making him a contender for use against Lance's Dragons in the Elite Four. However, be sure to remember that Onix's Rock/Ground types make it extremely weak against Water and Grass Pokemon. Onix will evolve into Steelix when traded holding a Metal Coat. This cannot happen until beating the Elite Four however. This page has been accessed 1,543,896 times.